This chipmaker's bet on memory technologies is starting to show encouraging signs of a potential long-term payoff. Back in 2015, Intel (NASDAQ:INTC) signaled its intention to more seriously go after the market for non-volatile memory products. This, in effect, meant becoming more aggressive with its preexisting NAND flash business by building out wholly owned NAND manufacturing capacity and stepping up its investments in another non-volatile memory technology known as 3D XPoint. That increased investment, though the company obviously expects it to pay off in the long term, drove a substantial decline in the profitability of the company's Non-Volatile Memory Solutions Group (NSG) business; on roughly flat revenue year over year, Intel's NSG business saw operating income drop from $239 million to a $544 million loss in 2016. Although it will be a while before these increased investments really begin to pay off for stockholders (NSG saw a $129 million operating loss last quarter, widening from $95 million in the year prior), last quarter did bring some very welcome news to investors: robust revenue growth. Last quarter, Intel's NSG reported $866 million in revenue ("an all-time record," per Intel CEO Brian Krzanich), up more than 55% from $557 million in the year prior. Note that, as I mentioned above, the operating loss widened year over year from $95 million to $129 million, but this is likely due to elevated operating expenses/factory start-up costs year over year than, say, abnormally low NAND flash pricing (since Intel mentioned a "tight supply environment" via-a-vis NAND). Moreover, Intel says that it saw "demand signals outpacing supply," so clearly business is booming for Intel's NAND business (as well as the NAND businesses of other memory makers) right now. The memory industry tends to be very cyclical in nature, routinely going through boom and bust cycles driven by both the underlying demand for memory products as well as the capacity (or lack thereof) that the industry collectively puts into place. For now, though, it's looking like Intel's bet on memory is turning out to be a smart one. Right now, the memory business seems to be booming, but if Intel doesn't reach profitability here within a reasonable time frame, then it's all for naught. On the earnings call, in response to a question from analyst Timothy Arcuri, Krzanich offered some insight on when the company expects to achieve profitability in its memory business. "For next year, our standard NAND business will be profitable," Krzanich said. This is encouraging, but it's important to note that although NAND flash products make up the substantial majority of NSG's revenue today, a sizable portion of the incremental investments in both technology and capacity that Intel is making is in support of its 3D XPoint technology. With that in mind, Krzanich explained that the company's overall NSG business -- that's NAND and 3D XPoint -- gets to break even in the second half of 2018, though he provided no additional details. Right now, Intel's investment in non-volatile memory looks like it has a reasonable chance of paying off handsomely for the chipmaker. The market for NAND flash continues to grow as storage demand rises and as NAND flash-based products displace mechanical hard disks in various markets. 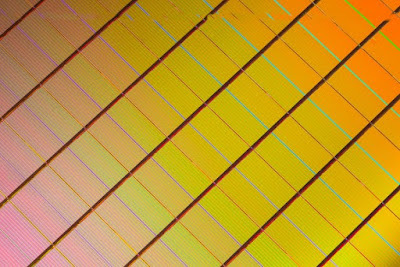 Additionally, Intel's investments in 3D XPoint seem as though they have real potential to pay off over time, too, as both storage products and DRAM-replacement products based on the technology eventually make their way into the marketplace. So, investors now know what milestones to look for -- a breakeven NAND flash business by the second half of this year, as well as a breakeven NSG by the second half of next year. If Intel can achieve these financial goals, it'll be interesting to start thinking about the long-term profit potential of this business to the company. That's why many investors consider their joint stamp of approval to be a "total conviction" signal to buy. The Motley Fool recently announced a new "total conviction" stock…and it wasn't Intel!